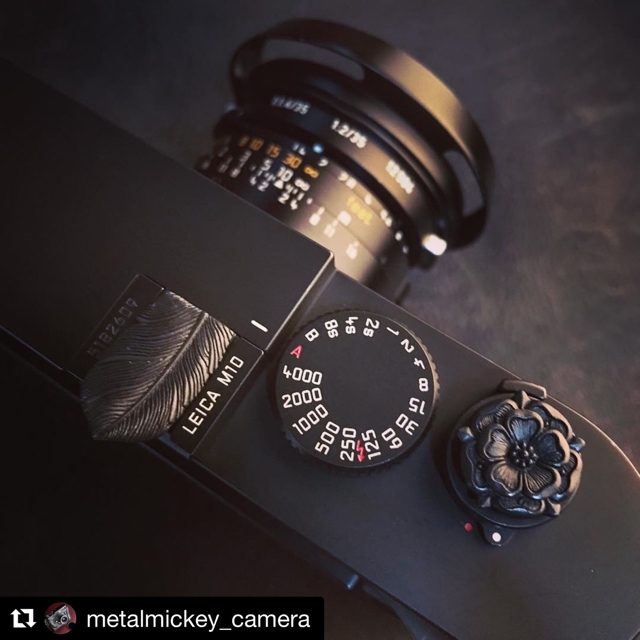 "Black Tudor Rose" and "Yatagarasu-Crow" with Leica M10. It's like avantgarde Tokyo Ninja style Leica!! Thanks （^人^）Tetsu @metalmickey_camera really awesome custom combination.